Nothing tastes better than berries picked freshly in the height of summer by your own hands! 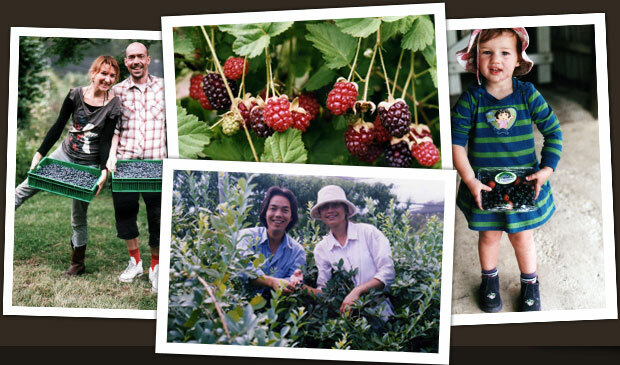 We will give you picking buckets and direct you to the 'berries of the day' in the ripest section of the farm. Here you can 'hunt and gather' berries of your choice. As these are highly valuable crops, we ask you to respect the work involved and not eat the fruit until it is paid for; keeping children (big and small) supervised. 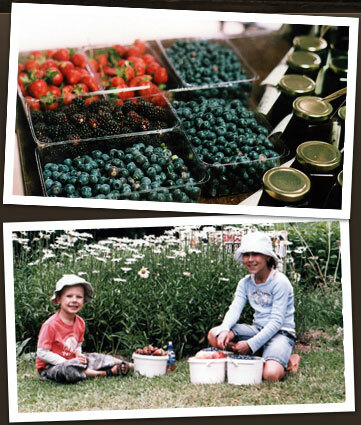 The berries that you have picked are weighed and packed for you to then purchase and take away. We encourage you to bring your own containers to transport your berries home. This helps the environment as well as making it easier to stack the containers for your drive home. - Some people collect for all year consumption and 'squirrel' the berries away into the freezer. - Some people like to find the source of their food to eat well and for good health. - Some people like to educate their children and pick enough for a holiday feast. - Some people make berry collection an annual event - a tradition. They know that the berry season is brief and you have to get them while the season lasts. - Pets are not permitted into the orchard and must be supervised at all times on the farm. - Summer means lots of flies - we recommend you bring some insect repellent with you to make your visit more comfortable. The farm is now closed to the public until 1st December 2019.